Hi mobsters ,check your account on 888 poker to see if u got this ticket ,top 500 will get 55$ main event enter which will play in october . this is good news for every player at 888 poker and this is one of ways to make something for all players that had problems with their software and with playing poker!dont know did I got this tickets or not,but will check later! Well I get same messages but no ticket. Meybe you was played on cash tournament when they had problems and for that you get that ticket, I was only trying login and for that I get only first part of that messages. Anyway thanks for info peronibar. And there you go. A compensation for the troubles they had, with the ddos attacks. to win a ticket for the tournament with the 1 million in prizes. I´ve got also a qualifier ticket for the Main event. The first 500 players will get a entry for the main event. 888 had some software problems in the last time and spend this nice ticket. Gl all mobsters for the main event! I dont have any tickets at my 888 software and didnt got any mail from them!dont know how they choose who will get this tickets,but probably some rules are there!maybe if you had tickets that you couldnt use,some money that you lost or tournaments that arent finished!good luck to all who will play this tournament! Well I think ticket get player who play poker on that moment ( moment when problems start) and thats ticket should be compensation for that, I was only try login and for that I only get mail with "sorry bla bla" without ticket, right peronibar? With 10k players in the tournament is not easy getting a ticket. Even when the tournament awards 500 places. Well I have one ticket too, was a nice touch of 888poker, isn´t it? I was keeping it for this weekend because it run in a bad schedule for my working days, but tomorrow I will try it. Cross my fingers! As Mober said, 500 tickets for 10.000 players is really a cheap gift, but... I will not throw this precious! 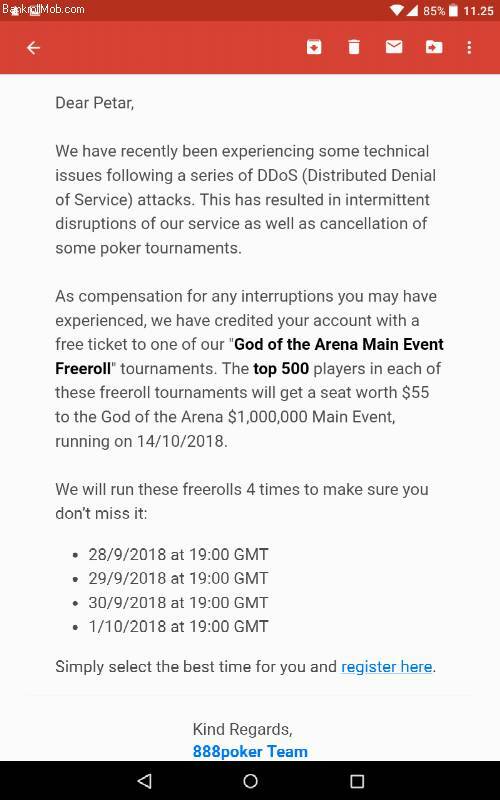 too bad that you didnt make it in first 500 and to win ticket for main event!I know that isnt easy to play against so many players,but still you post here about this ticket,you give us information and now you didnt make it till end!good luck next time! 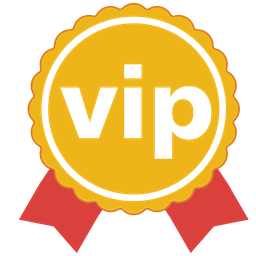 its not easy to be in 500 places,but again its free ticket and you can win good amount on main event!so its not like you have to spend own money on this satellite and to think will you earn this ticket!just can say good luck to all members who will play in this main event! I dont have any tickets at my 888 software and didnt got any mail from them!dont know how they choose who will get this tickets,but probably some rules are there! Ditto. But I am not even active on 888 and they get rid of players from Hungary a year ago so theres that.